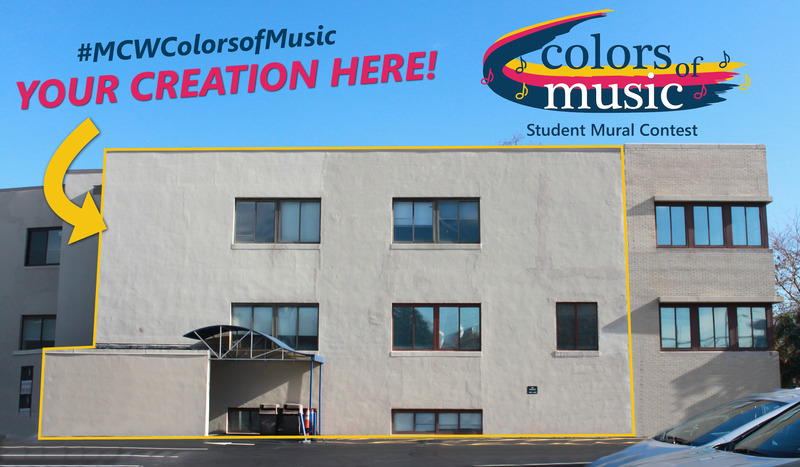 White Plains, NY – It’s the final chance for Westchester County teen artists to enter the Music Conservatory of Westchester’s “Colors of Music” Student Mural Contest! The contest gives talented local students a once-in-a-lifetime opportunity to collaborate with a professional mural artist to create a mural on a public canvas representing the theme of “Multi-Cultural Music.” Students also have the rare chance to have their artwork evaluated by an impressive group of art experts and community leaders from Westchester County and New York City. 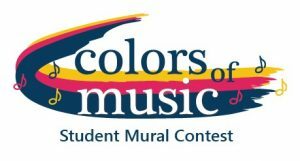 The “Colors of Music” Student Mural Contest is open now for submissions from students in grades 7-12 residing in Westchester County, NY through Friday, May 11, 2018. Student entrants must complete and send a submission form signed by their parents and a digital copy of their artwork to [email protected]. For more information about this contest and/or the Music Conservatory of Westchester, please contact Adriana Rivera, Communications and Development Assistant, at [email protected] or 914-761-3900 x135. The Music Conservatory of Westchester was founded in 1929 by a group of community members and renowned artists. 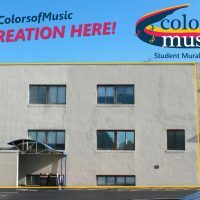 Today, the Conservatory provides the extraordinary benefits of music to all in our community, from absolute beginners to advanced artists, with one-on-one instruction, performing ensembles, theory, composition, early childhood classes, lifelong learning for adults, and free community performances, serving 2,900 students each year from 4 months to over 80 years old. As a not-for-profit organization, the Conservatory is dedicated to serving the community and reaching out to those who would not otherwise have access. Our Scholarship Program provides tuition assistance for financially deserving students. The Music Therapy Institute brings music into the lives of 1,900 children and adults with disabilities each year through on-site and outreach programs. Healing Our Heroes offers military veterans a specialized music therapy program to help with recovery after their service. The Conservatory has inspired generations of students, and contributed to a vibrant musical life in the county, the region, and beyond. York City; for The Bakehouse in Miami; and at Aisle One Gallery in St. Louis. He is a high school art teacher in Brooklyn public schools, working with under-privileged and disenfranchised youth. He has curated an art exhibition with Variety the Children’s Charity featuring the work of homeless LGBTQ teens; created a large mural with children on the autism spectrum for AHRC; and recently served as a judge in a borough-wide student art competition organized by the New York City Department of Education’s Office of Arts and Special Projects. This entry was posted in Press Releases and tagged art, Art Contest, Colors of Music Student Mural Contest, Mural, music conservatory of westchester, Student Artists, Teen Artists, westchester, Young Artists. Bookmark the permalink.